Amsterdam is a city of museums, much like Madrid in Spain. The city does not have a whole lot of special buildings, beautiful design – but it has some super museums waiting for visitors to drop by. 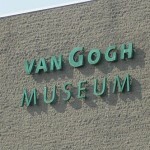 The Van Gogh museum is probably the most famous, but besides the Van Gogh museum many people the Rijksmuseum, the Rembrandt House museum and some others. Below you can find more information about some of the museums in Amsterdam.